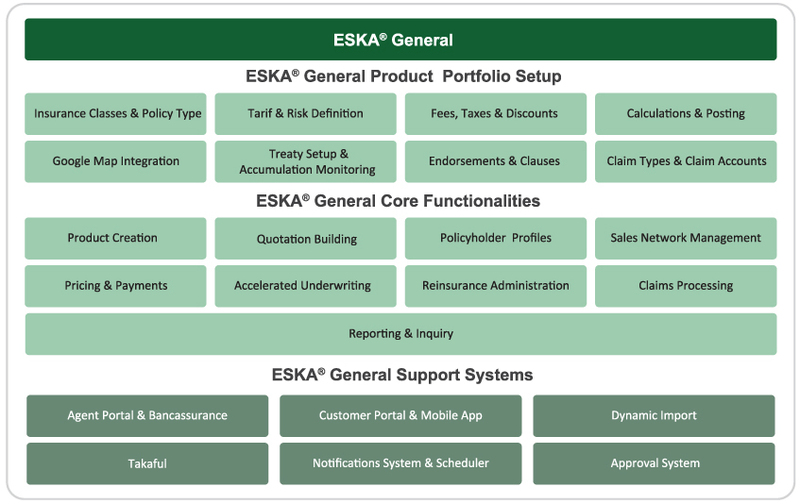 ESKA General a General Insurance Management System to automate and accelerate you line of business. ESKA® General is our general insurance management system made to strengthen every dimension of your work process. This comprehensive system automates all stages of your general insurance process, from issuing quotations and policies to processing claims and calculations. Covering a number of insurance classes, such as motor, property, general accident, marine & hull, engineering and aviation, ESKA General empowers you to craft and continuously refine a robust insurance enterprise. Thanks to a fully customizable configuration system, you can also pick and choose the parameters relevant to your business. ESKA General covers a number of functionalities that will help you process all your tasks in no time. From designing products to payment schemes, this dynamic system is here to make your life easier. With the ability to define and set your own preferences and parameters, ESKA General allows you to operate based on your specific business needs. Providing agent access portals for faster and more convenient access for your sales team, you can help to ease up the whole sales process. From the quotation builder to customizable incentive strategies, you can get the job done in no time. Now you can keep all activities on track and consistent across your company thanks to ESKA General’s real-time processing flow and notification system. Thanks to a fully automated system, you can save time while accomplishing more. Creating a digitalized process, have all documents and workflow stored through one digital platform. 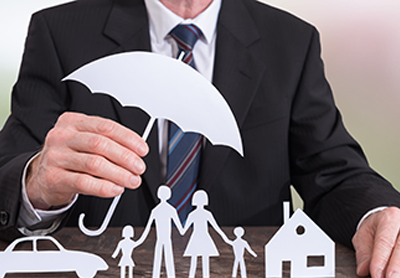 Customize a number of insurance preferences, such as insurance class, pricing, policies, underwriting risks & more. Set up Wakalah or hybrid models for any insurance/investment scheme or customer pool. Calculate any payment rate and schedule for specific policies or policy types. Set attributes for each premium, including whether a premium is editable, discountable, formula-calculable, basic, active or linked to sum-insured. Maintain auditing and transactions histories for your insurance policies. Create customizable quotations and convert it to policies within a single or multiple insurance classes. Link any policy type you create with underwriting surveys/questionnaires. Import interests and their specifications. Implement different payment schemes for each insurance class according to types of accidents and losses. Seamlessly incorporate agents, brokers and bancassurance reps into your sales network. Configure commissions and bonus rates according to parameters you choose. Produce standardized charts and graphs to succinctly illustrate your information.